Second Chance Educational Alliance, Inc.
SCEA is Connecticut’s only education-based reentry program. We are building promising outcomes and growing each year. We prepare men and women for the rigor of postsecondary education with quality coursework and an emphasis on critical thinking. Upon release from corrections facilities, men and women are overwhelmingly unemployed and underprepared educationally for today’s workforce. Nearly 77% are rearrested within five years. The number of jobs requiring only a high school diploma continues to decline drastically. As the US economy becomes increasingly knowledge-based, the need for some form of postsecondary education becomes essential. Your Gifts make the mission happen. We are passionate about our mission, and building recognition, too. 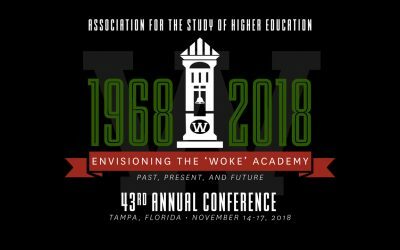 A dynamic conversation about the perspectives, experiences, and the needs of incarcerated and formerly incarcerated Black women and Black Girls at the Association for the Study of Higher Education conference in Tampa, FL. Help make the Vision of economic freedom a reality.